Sometimes I miss the down to earth grittiness of the East coast. Or maybe it's just the greasy mom and pop fast food places I crave? After a run through the Presidio and Chrissy Field on a gorgeous sunny day, it became clear to me that it was the food that I missed. I headed back to Jake's Steaks. The previous week, I enjoyed a great cheesesteak with American cheese, but was disappointed by the chili on the chili cheese fries. I wanted to go back to try the cheese fries made with Cheese Whiz. To make more room for the fries I opted to go bunless. 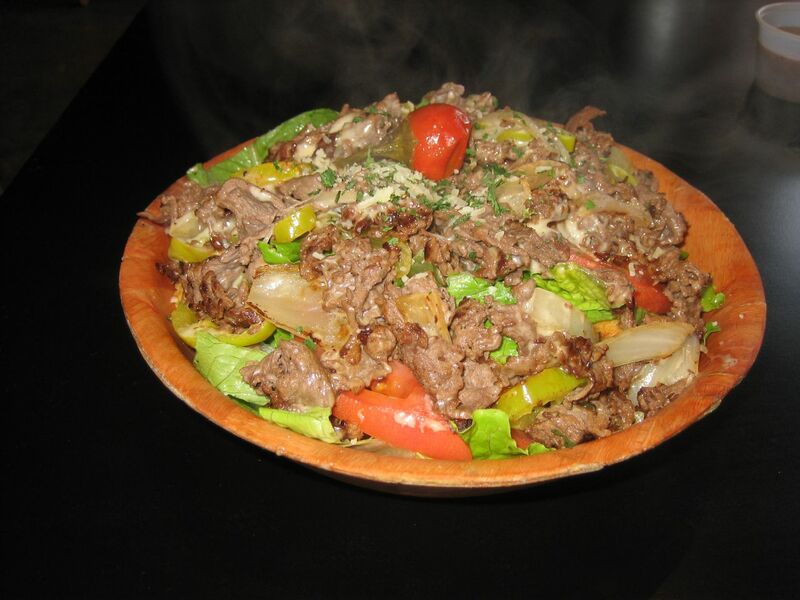 The cheesesteak salad was good and a large portion, it had as much steak as the sandwich with about two cups worth of salad greens. The cheese fries were outstanding. 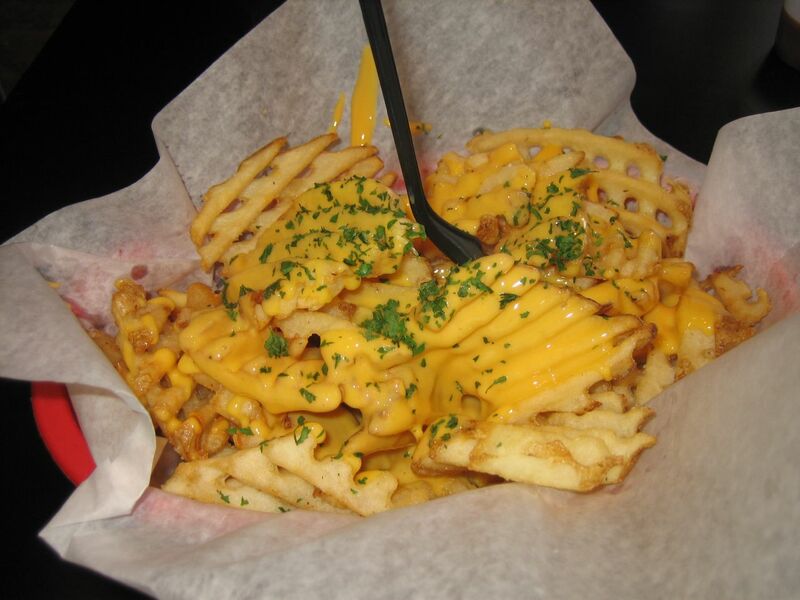 Plenty of salty cheese coating the crisp waffle fries enough for two people. Next time I'll order the cheese fries as my meal.